SolarAid and Solarcentury Chairman, Jeremy Leggett, has been recognised for his ‘outstanding contribution to the global solar PV industry’ with another top gong at the Solar Industry Awards 2013. 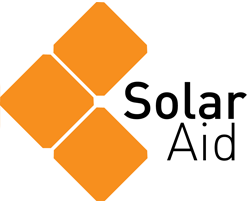 “I am thrilled and honoured to have won this award, but also humbled, because it’s really the teams at Solarcentury and SolarAid that have won it. It is their dedication and brilliance in all aspects of operations that creates the space for me, as non-executive chairman of both organisations, to warn about the risk-blindness that is growing in energy markets and hopefully to be a useful global advocate for solar and renewables. This is the latest in a long line of awards for both Jeremy and SolarAid. He has previously notched the Entrepreneur of the Yearat the New Energy Awards. He was the first Hillary Laureate forInternational Leadership on Climate Change, a CNN Principal Voice, and has been described by the Observer as “Britain’s most respected green energy boss”. He has been able to sit back and watch as the charity that he started back in 2006 has gone from strength to strength, redefining its goals and picking up three awards this year alone. The Google Global Impact Challenge, Guardian Sustainable Business Award and Ashden Awards would not have been possible had it not been for Jeremy’s stewardship. Jeremy is now able to concentrate his efforts on re-aligning energy markets in the hope of avoiding further financial and environmental catastrophes. His latest book warning against the current trend of risk-blindness in financial markets, Energy of Nations; Risk Blindness and he Road to Renaissance, is available to buy now.